New Ashford, MA is a rural community with some farms and a few small motels. 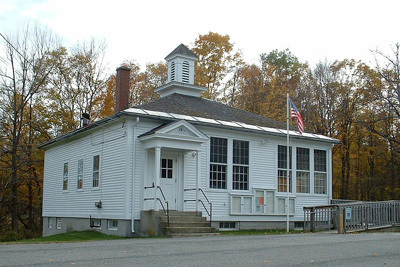 The Berkshire town was settled in 1762 and finally incorporated in 1835. Its founding citizens came from Ashford, Connecticut, so they named it New Ashford. The town holds significant importance because beginning in 1916 it had the distinction of casting the first vote in presidential elections. Today, that honor goes to Dixville Notch, New Hampshire, but during its reign, New Ashford, MA was the location where in 1920 a woman got to cast her vote for the first time in a U.S. national election. The old wooden ballot box that was used on this historic occasion is still in use today.